Happy Hump Day, everyone:) Hope your week is going well so far. Do you have that one store you always go to and wear pieces from all the time? New in...where waiting paid off! I saw this Zara blazer when it first came out, but didn't want to pay full price. I finally found it on sale! It was the last one, and it was my size. Woot! Love the sale season! Have you gotten any new stuff lately? For the summer, there's nothing more useful than sports bras. They're great for layering with tank tops and sheer tops, aside from providing support. They're not just good for working out! What colour are you loving lately? I know I'm late doing this, as we're already in the middle of summer, but better late than never, right? Yes....I was out and about wearing flip flops, and I didn't go to the beach. The perfect food for the hot weather...sashimi (my fave)! Do you love super hot days during the summer? 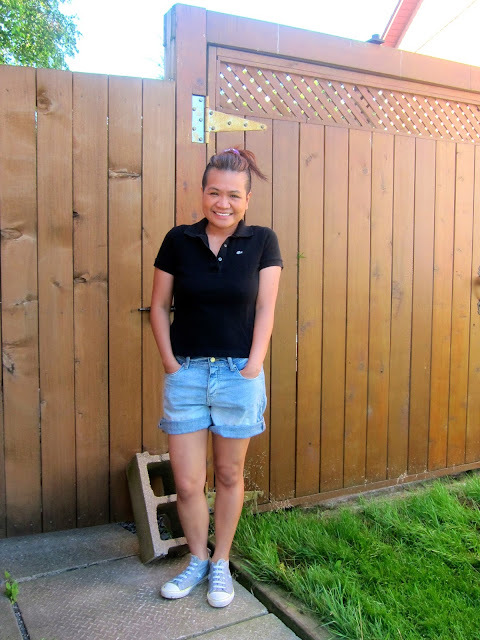 I tend to wear almost all the same things over and over, as proven by this outfit which made an appearance here (just with different sneakers). I will admit that not only is my wardrobe small compared to most bloggers who do outfit posts, I also do tend to wear what I see on top of my drawers, which is almost the same clothes...bwahaha! Do your outfits do repeat performances? 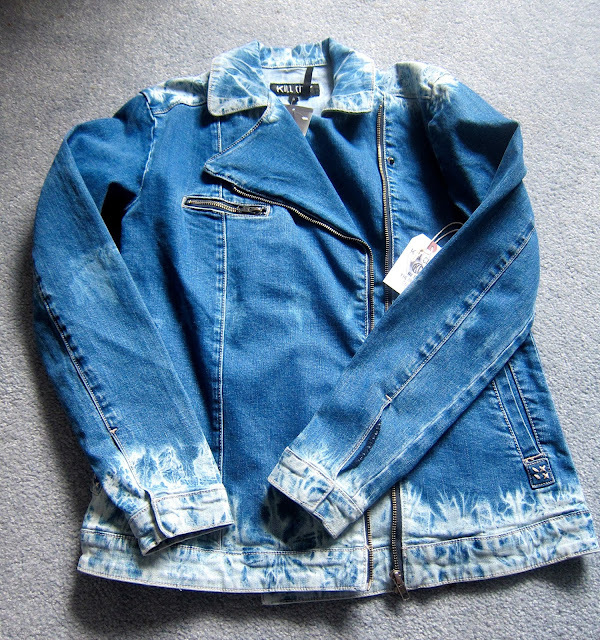 I was seriously so excited to find these deals, especially the denim moto jacket, y'all! What have you bought lately that you love? I may be slightly obsessed with these boots. The soles are padded; they're made of leather; best of all, I got them on sale! Woot! Have a great day, lovely peeps! They are made for walking! Every time I have to do a lot of standing and walking, these Docs are put to the pace. They are seriously so comfortable...more so than my sneakers! Are you a Docs fan? 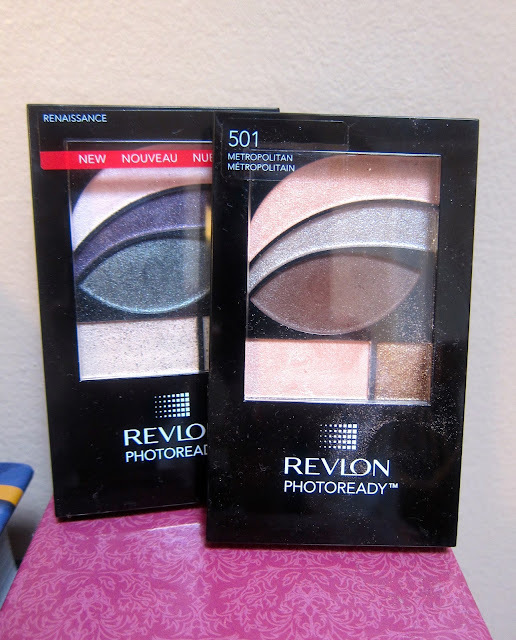 1) These Revlon eyeshadows are super pigmented but easy to blend...win-win! 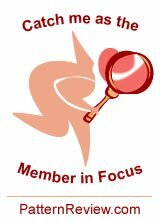 2) This Sonia Kashuk foundation has just the right amount of coverage I want for the summer. 3) This Hello Kitty bronzer from Sephora was on sale so I thought I'd give it a try. I like it:D I'm currently using it as a blush. 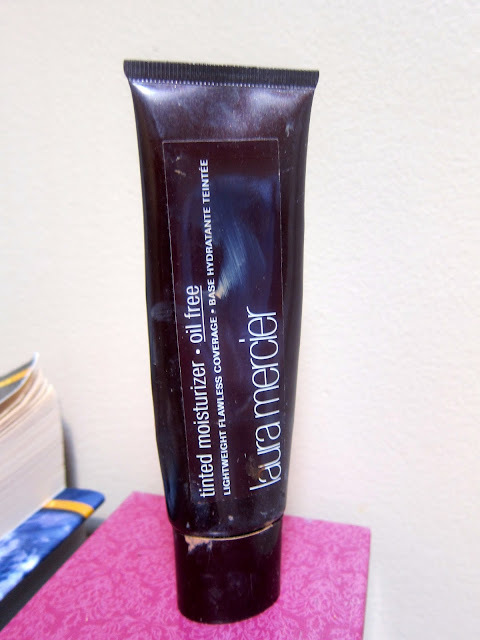 5) This L'Oreal eye cream was on sale as well in our local drugstore, so it was another take-a-chance purchase. I like the metal applicator, and it's not heavy (which is what I want in an eye cream). Happy Friday, gals and guys. What are you digging lately? Happy Wednesday, everyone:) To my American readers, Advanced Happy 4th of July!